School Voucher Systems Across the Globe Make the Case for School Choice in the U.S. The debate about school choice is often animated in the United States, but critics of the idea may be surprised to learn that school voucher programs are quite common in the rest of the economically developed world. Twenty-five Organisation for Economic Co-operation and Development (OECD) countries, a club of mostly wealthy nations, have vouchers or tuition tax credits for students to attend private schools of their choosing. Significantly, many of those countries have more robust educational choice programs than can be found in America. A study I recently co-authored at the Wisconsin Institute for Law & Liberty explores school choice programs in the Netherlands, Sweden and Chile. Interestingly, their school choice programs come much closer to meeting Nobel Laureate Milton Friedman’s ideal vision of true educational choice—the ability for all parents to choose the education that’s best suited for their children regardless of income or residence—than most U.S. programs. School choice has been a longstanding part of the educational menu in many countries, and there is evidence that shows it improves academic performance. Since 1992, every child in Sweden, regardless of socio-economic status or geographic location, can receive a voucher to attend any school—public, private or parochial. There has been criticism of the stagnant performance of Swedish students on international test scores relative to their OECD peers. However, the stagnant test scores are not found to be attributable to Sweden’s school voucher program. Many researchers offer explanations for Sweden’s unimproved test scores, one of them being a 1994 shift away from methods committed to curriculum and standards to more “student-directed” teaching methods. Such methods includedindividualizing education by allowing students to have input in deciding what courses they take, lowering student-teacher ratios and allowing students to both help evaluate and develop teaching methods. Swedish researchers confirmed that the curriculum change is most likely the cause of the lack of improvement. Similar teaching models in other countries, such as Canada, have also negatively affected academic achievement and test scores. The most vigorous study on the Swedish school voucher system by Stockholm University researchers Anders Böhlmark and Mikael Lindahl concludes that students in non-public (or Independent schools as they are called in Sweden) perform betterthan their public school peers both in the short term, with increased test results and grades, and the long term, with higher grades in secondary school and at university. Both for-profit and nonprofit private schools showed this positive effect. Furthermore, a recent national survey in Sweden showed that parents who had children enrolled in Independent (private) schools were 10 percent more likely to be satisfied than those with children in municipal schools. The practice of funds following all students to any school is almost non-existent—and quite controversial—in many parts of America. The closest U.S. equivalent of Sweden’s voucher program may be educational choice programs for students with disabilities, such as Florida’s McKay Scholarship Program, which allocates almost the exact amount to private schools as public schools would have received to educate those children. But this voucher program is available only to students with disabilities, albeit all children with an Individualized Education Plan (IEP) qualify regardless of income or geographic location. In many states with vouchers, public dollars do not freely follow students who are exercising their educational choice. That is, when students choose to leave a given public school, the funding that public school receives for educating said student does not always leave with the students. Instead, there often are arbitrary caps on choice programs regarding how much government funding a non-government school or service can receive and even on how many students can partake in the program. For example, Indiana’s Choice Scholarship Program, enacted in 2011, has an average voucher value of $3,867. This is only 40 percent of public school per-student spending. However, this does not include local or federal funds that a student would have received had they gone to public school. Although parents can then use these dollars to pay to send their children wherever they wish to go, parents cannot access nearly as much as what public schools receive. This is far too common in educational choice programs in the U.S. Examining Sweden’s education financing highlights how complicated our system is here in America—with our varying amounts of state, local and federal contributions—as Sweden’s education system is funded primarily by tax revenue from local municipal authorities. This includes the funding of preschool, compulsory (elementary) school, upper secondary school, adult education programs, programs for students and adults with learning disabilities, and programs for immigrants to Sweden. No single educational choice program in the United States has funding even close to being equal to total public school funding. Among the highest in the United States are Wisconsin, whose Milwaukee Parental Choice Program voucher is worth $7,366, or about 67 percent of public school spending. Ideally, all education funds would follow students to the institution of their choice, like the system Sweden has in place. In the Netherlands, a staggering 70 percent of all schools are private, and 90 percent of the private schools are religious. The Dutch Constitution secures equal funding for all schools, presuming they adhere to statutory regulations. This funding amounts to approximately $6,465 per primary student and $8,321 per secondary student. Religious education has long been accepted as a right to which all Dutch citizens are entitled. The fact that increased school choice in a given area leads to higher test scores is well-documented, and empirical research in the Netherlands suggests that Catholic schools are the driving force of competition. In short, the more Catholic schools in a region, the higher the educational attainment for all school types. There is also evidence from across the globe that demonstrates that students enrolled in Catholic schools attain more both academically and in terms of labor market outcomes (i.e. wages and subsequent employment). Yet in stark contrast to the Netherlands’ approach to schooling and choice, opponents of school choice in the U.S. frequently attempt to use Blaine amendments and other provisions to prevent the flow of public money to private schools, particularly religious schools. State constitutions in dozens of states forbid direct government aid to educational institutions that have a religious affiliation. This prohibition was intended to target Catholic schools in the late 19th century—a period of enormous mainstream hostility towards Catholic immigrants. Both the Supreme Court of the United States and many courts in states with Blaine amendments have concluded that school vouchers are constitutional because such programs allow parents to choose schools, so the government is not favoring one religion over another. As the founders intended, the state should be neutral on matters of religion. That means treating public and private religious schools equally, as the Netherlands does, and allowing parents to be the arbiters of their families’ needs. Milton Friedman, frequently referred to as “the father of school choice,” visited Chile in 1975, amidst the worst economic recession in its history. Inflation was 340 percent—an all-time high—and Friedman promptly recommended free market changes, including universal school choice. Today, almost half of all Chilean students attend school on a voucher. In Chile, like in Netherlands and Sweden, public and private schools receive the same amount of funding per student. Interestingly, Chile implemented in 2008 a weighted voucher program that attaches more resources to the vouchers of socioeconomically disadvantaged students. The voucher for a student from a disadvantaged background is worth 50 percent more than a voucher for a student from a middle-income or higher background. Extra funding is attached to students from low-income backgrounds in an attempt to remedy the achievement gap and social stratification found in Chile. This policy has successfully mitigated segregation and achievement gaps in Chile and elsewhere and, therefore, might be a policy worth considering in more choice programs in the United States. Arizona’s Empowerment Scholarship Accounts program has a sliding scale for funding. Nevada’s new universal Education Savings Account (ESA) program also works toward this model by offering low-income students and students with special needs 10 percent more funding than those who do not fit those descriptions. In an attempt to reframe and refresh the discussion of school choice and educational opportunity in America, policymakers may benefit from looking at school choice programs abroad. What appears politically impossible in the U.S. has been longstanding public policy elsewhere. Sweden, the Netherlands and Chile are only a few examples of the many educational choice programs around the world. The 2012 PISA results also demonstrate that countries that promote competition for student enrollment among schools tend to perform better. Going from country to country, it is clear that more competition—whether through public or private school choice measures—leads to higher test scores for public and private schools alike. In fact, Stanford Economist Caroline Hoxby’s work examining three choice programs in America—in Milwaukee, Arizona and Michigan—concluded that areas with maximum inter-district choice have consistently higher test scores than do areas with zero inter-district choice. 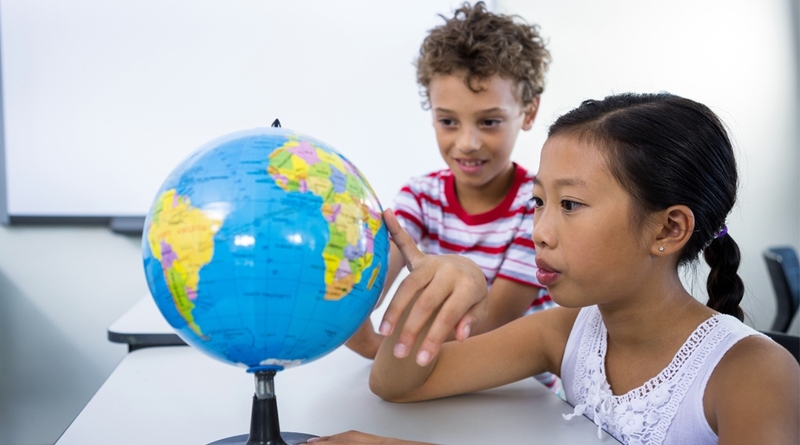 As the School Choice Across the Globe study highlights, there is good reason for individuals and stakeholders to demand that research and evidence from other countries and here at home be used to shape the future of education reform. *Opinions expressed by our guest bloggers are their own and do not necessarily reflect those of EdChoice. Alexandra Hudson is a graduate of the London School of Economics where she completed her Masters in International Comparative Social Policy as a Rotary Global Grant Scholar. She has had editorials published in “National Review” and “The Washington Examiner.” She has held posts with the American Enterprise Institute, the Federalist Society for Law & Policy Studies, and most recently as lead education policy analyst at the Wisconsin Institute for Law & Liberty.